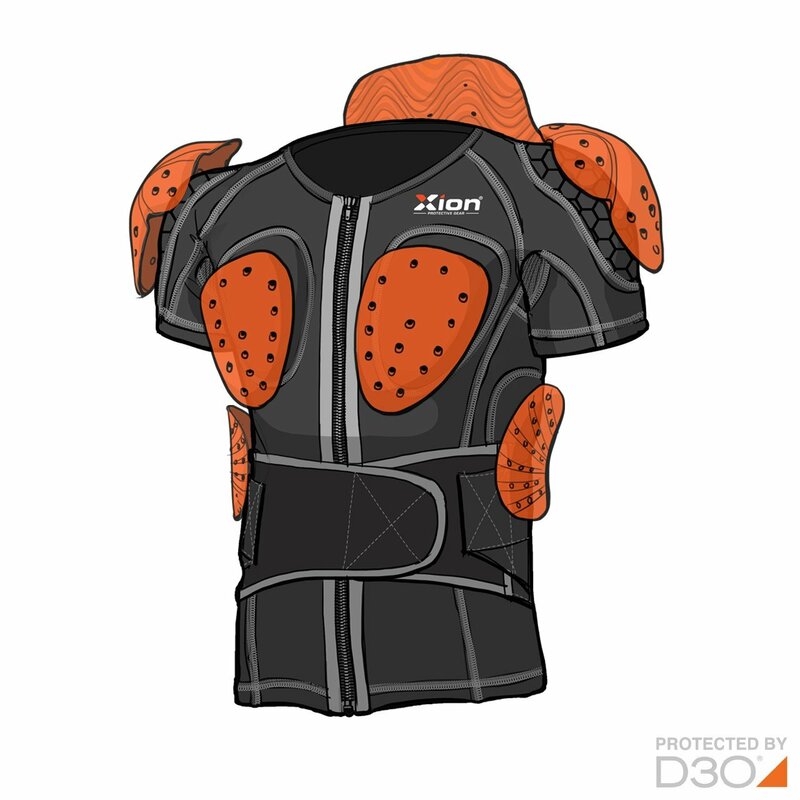 The XION® Protective Gear Shortsleeve Jacket is specifically designed to wear as an undergarment, an ideal replacement of the traditional bulky rigid protection. The waistbelt has elastic straps to adjust to the body circumference. 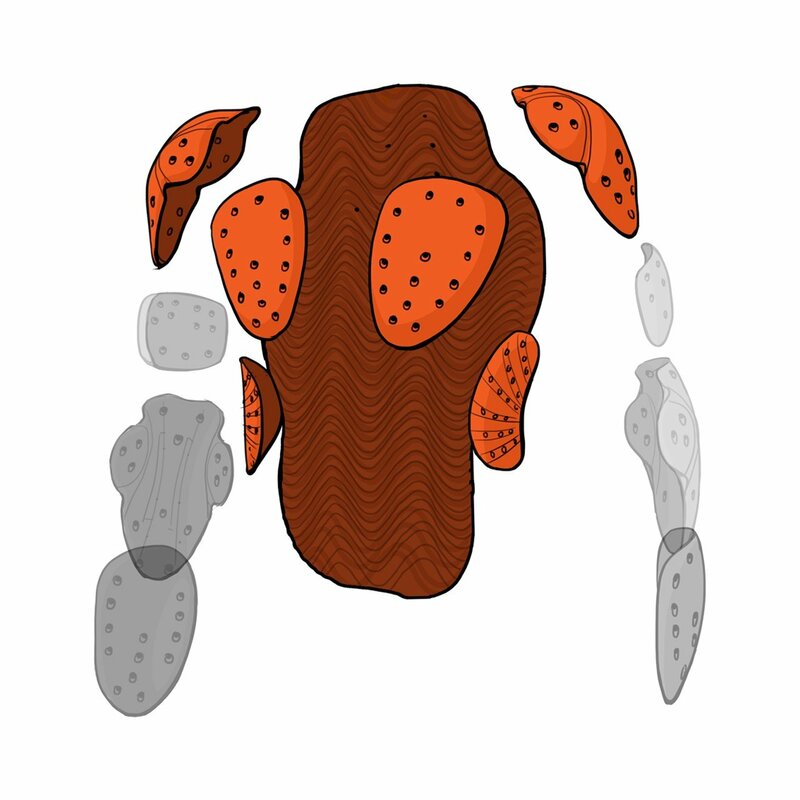 The paddings cover the shoulders, back, chest and side of the ribcage. 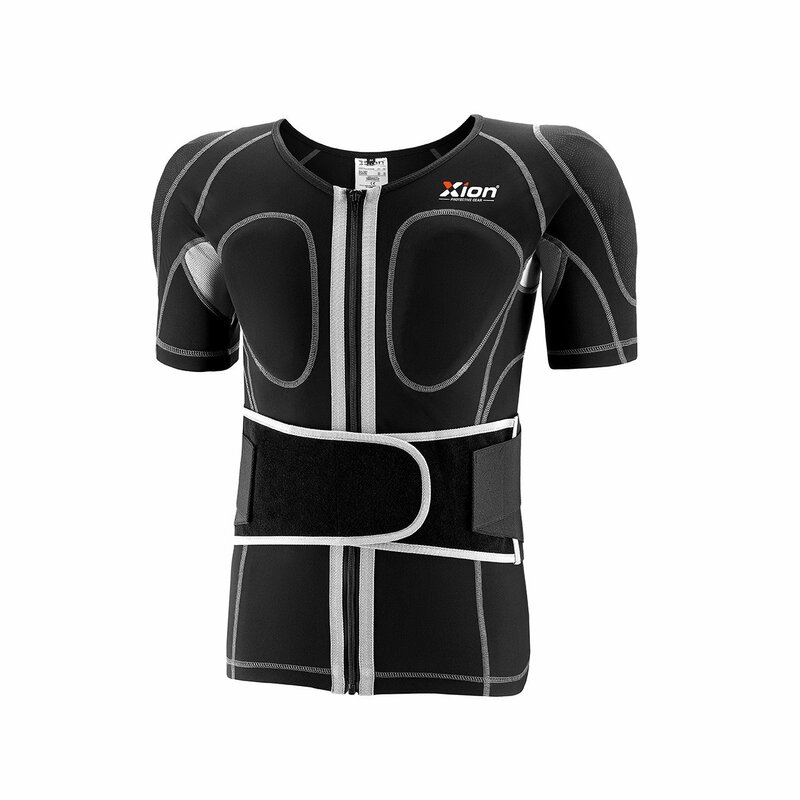 The padding is removable, flexible and breathable. 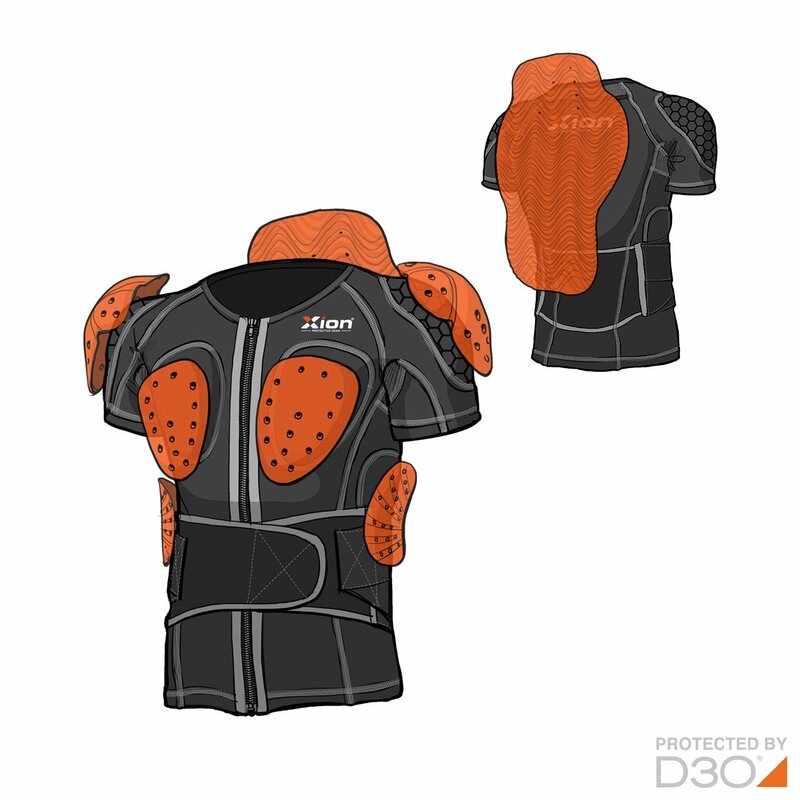 The pads are made of a revolutionary material called D3O&reg; (dee-three-oh) which is made of “Intelligent Molecules” that flow with you as you move but on shock/impact lock together (in a fraction of a second) to absorb the impact. 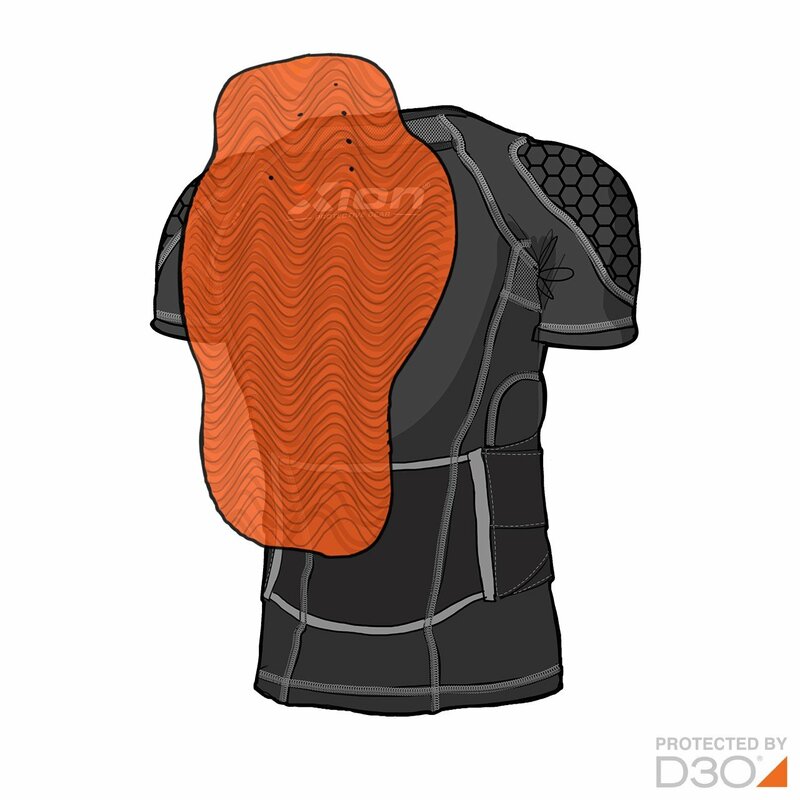 The D3O&reg; padding outnumbers traditional foam padding more than 6 times using half the thickness. The shoulder areas are covered with a very durable abrasion resistant fabric. 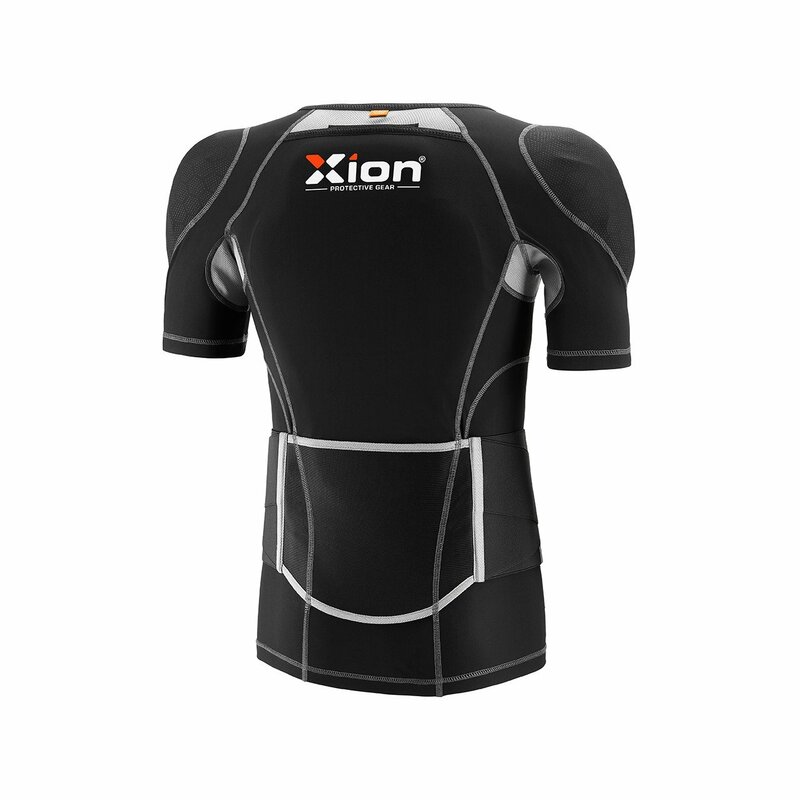 The main fabric of the product is made of a strong, stretchable and breathable fabric, especially designed for the sports industry.